Melanie joined the School in 2018, coming from a research position with Queensland Health and the Australian Catholic University. She focuses on researching with multi-disciplinary teams in her two distinct areas of interest: emergency medical care - patient and system flow and workforce issues, and in chronic conditions - patient self-management, respiratory conditions, especially cystic fibrosis. 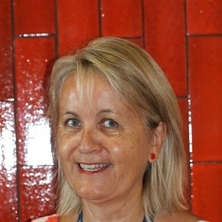 Melanie enjoys collaborative links with colleagues in emergency care, in paediatric and adult respiratory, and the CSIRO’s Australian E-Health Research Centre, the latter being co-investigators in devising the Emergency Department Patient Admission Predictive Tool (https://www.csiro.au/en/Research/BF/Areas/Digital-health/Waiting-times). She is lecturing in the Master of Nursing Studies programme. With a clinical background in general practice and paediatrics, all of Melanie’s work is underscored by a patient and family centred care perspective. · Indigenous peoples’ experiences of acute cardiac care. Mirror, Mirror on the Wall: Who is the True Nurse After All? Li, A., Jessup, M., Fulbrook, P. and Bell, S. (2013). Journey to Parenthood: a Qualitative Investigation of Adults with Cystic Fibrosis. In: Pediatric Pulmonology. , , (422-422). .
Jessup, M., Shields, L., Branch-Smith, C. and Douglas, T. (2013). Scary Stuff: Parents' Self-Seeking of Information Via the Internet Following Their Child'S Diagnosis with Cystic Fibrosis. In: Pediatric Pulmonology. , , (448-448). .
Jessup, M., Hauser, J., Cameron-Tucker, H., Cummings, E., Turner, P., Blizzard, L. and Reid, D. (2011). Facilitating Self-Management in Adolescents and Adults with Cystic Fibrosis: a Pilot Study. In: Pediatric Pulmonology. , , (405-406). .